You'll love having this beautiful sofa in your living space for its sleek design and gorgeous details. These include nail head trim running along the base and seat back, as well as the flat track arms that exude a contemporary atmosphere. 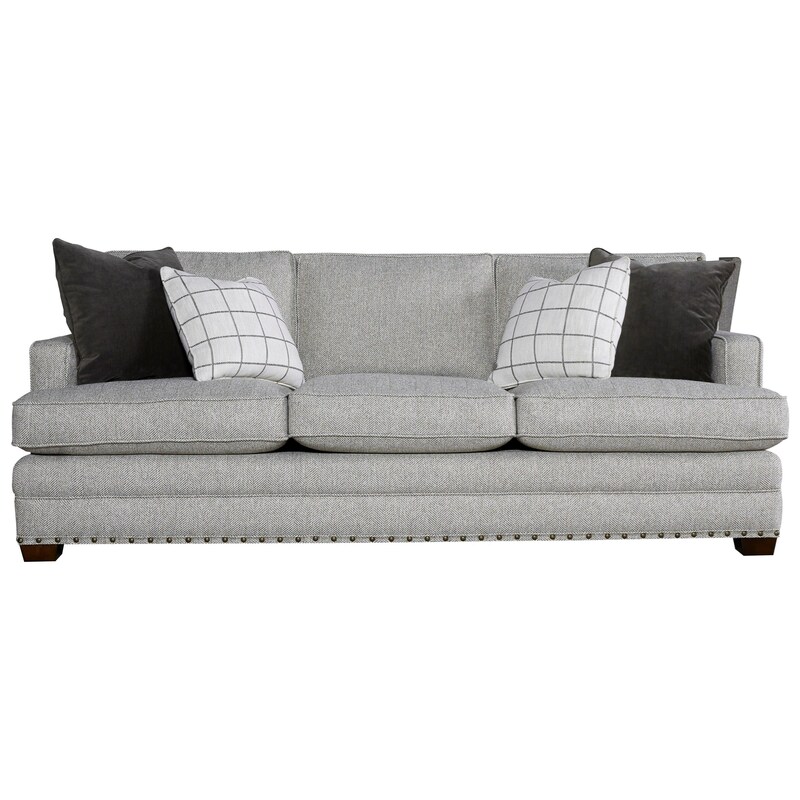 Furthermore the neutral gray Turino fabric makes it extremely easy to match this sofa with existing decor, and it's also a Revolution performance fabric, meaning it's incredibly durable and eco-friendly. The Riley Transitional Sofa with Nail Head Trim by Universal at Zak's Home in the Tri-Cities, Johnson City, Tennessee area. Product availability may vary. Contact us for the most current availability on this product. Browse other items in the Riley collection from Zak's Home in the Tri-Cities, Johnson City, Tennessee area.